Much can turn out to be a great idea. Ours is to restore the respect for king prawns and make them guests of honor on restaurant tables and in hotel dining rooms. 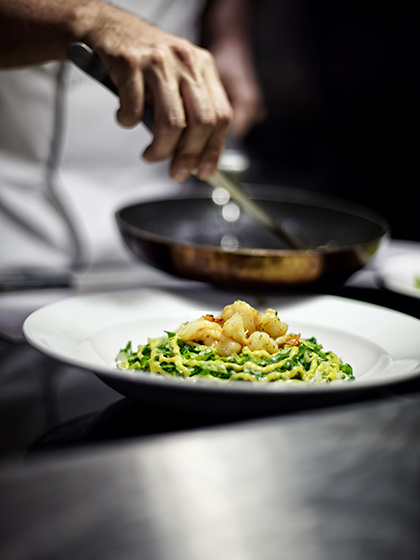 The recipe is brave innovation, thorough professionalism and clean Norwegian sea water. 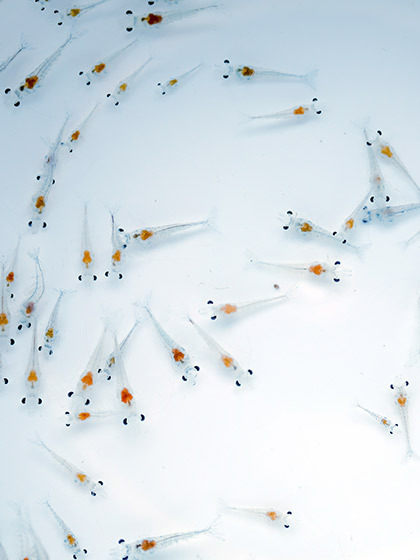 Happy Prawns – born and bred in Norway! a female or a male. 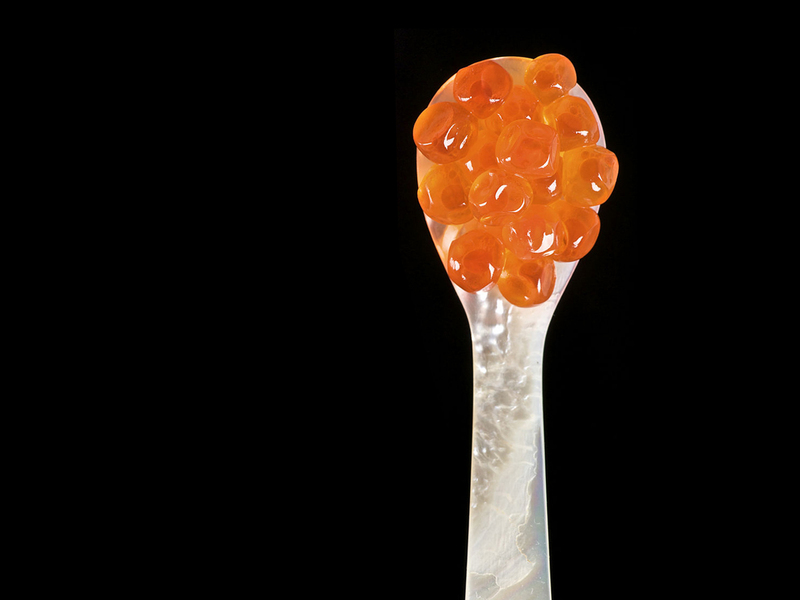 When shrimps become fertile, the male will place his sperm sack on the roe. Then the female will spawn and the fertilized eggs are left to their own devices. and only 0.6–0.7 mm long. 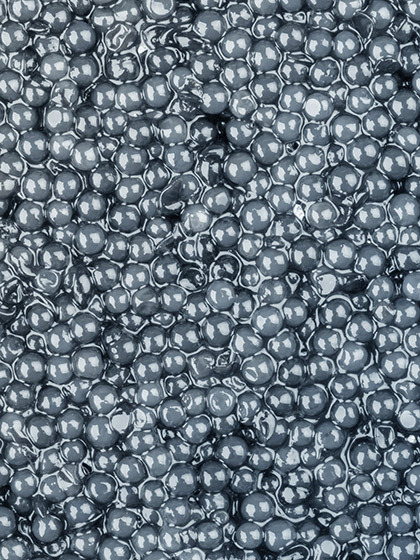 At first, the eggs are orange, but then turn grey in the days before hatching. 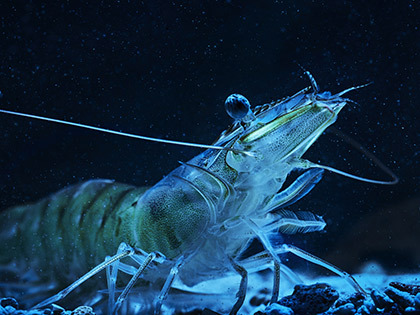 Besides, shrimp are hermaphrodites, as they change gender. When young they are males, but later they turn into females, which are considerably bigger than males. Only one percent of the eggs succeed becoming more than just eggs, but for those, on the other hand, evolution is very fast. During a couple of hours, the eggs have become nauplii, small larvae with feelers and an unpaired eye. During the next stage, zona, the chest and spine forms. 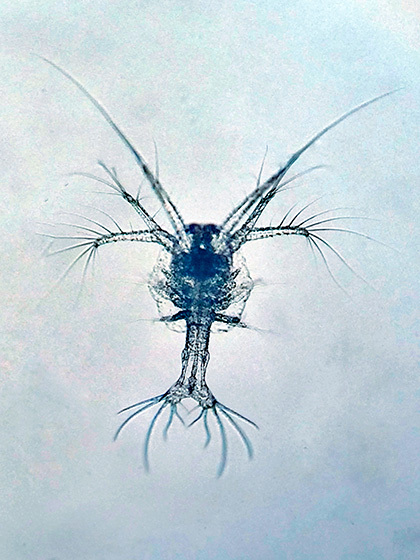 The larvae are only eating plankton at this stage, but starts ingesting solid food when they reach the mysis stage. (and thus a little secret) feed, which is both rich in protein and sustainable. 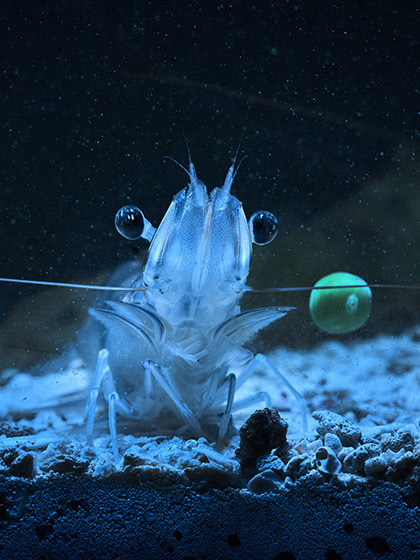 Most growers elect to feed the baby shrimp in such a way that they become “butcher ready” in three months. We have elected to use four – both due to animal welfare as well as quality. This means they also become bigger than others – well over 30 grams and with a length of 12–15 cm. Then they may either be humanely laid on ice and killed instantly, or delivered alive and kicking in a bag or a bucket. No matter, they are fresh and don't travel far! animal welfare and taste in mind.